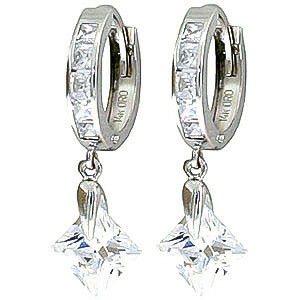 Cubic Zirconia hoop earrings handcrafted in solid 9 carat white gold. Twelve CZ, total 7.58 ct for both earrings combined. Square cut.